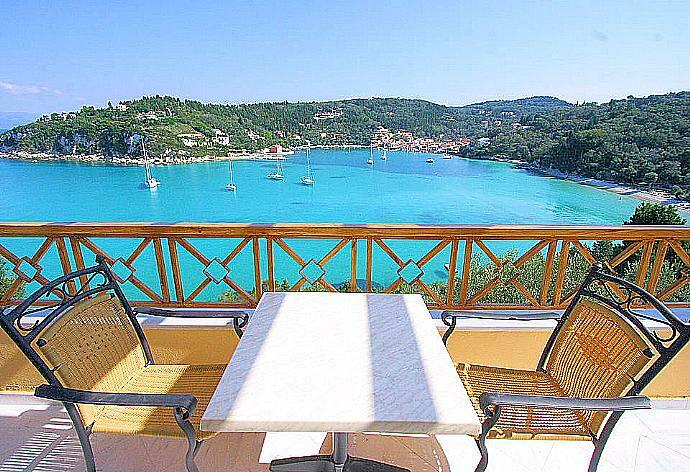 Thanasis is located in Faros (Lakka) on the Greek island of Paxos. This vacation rental property is air-conditioned and sleeps up to 4 people with 1 bedroom, 2 bathrooms along with private swimming pool and sea views. The property is walking distance to the beach and restaurants. Ground floor: Very spacious living room with kitchen and dining/sitting areas including a sofa-bed sleeping two in comfort. Lower ground floor: Master double bedroom (air-conditioned), two bathrooms. The Air Conditioned living room has sofas. There are patio doors to the pool terrace along with sea views. The kitchen features: full oven, cooking hob, fridge/freezer, microwave, filter coffee machine, toaster and kettle. If additional beds are required there is 2 sofa beds. Thanasis can sleep up to 4 people. Additional Pool Features: Childrens Section and Sea Views. We had a fantastic time & are so pleased that we chose Thanasis. Thanasis himself was very attentive & offered help if we neeeded any. Him & his family made us feel very welcome. We are already planning our return! The property was even better than the website made it out to be. Overall excellent and we would consider staying in Thanasis again. One word, amazing. 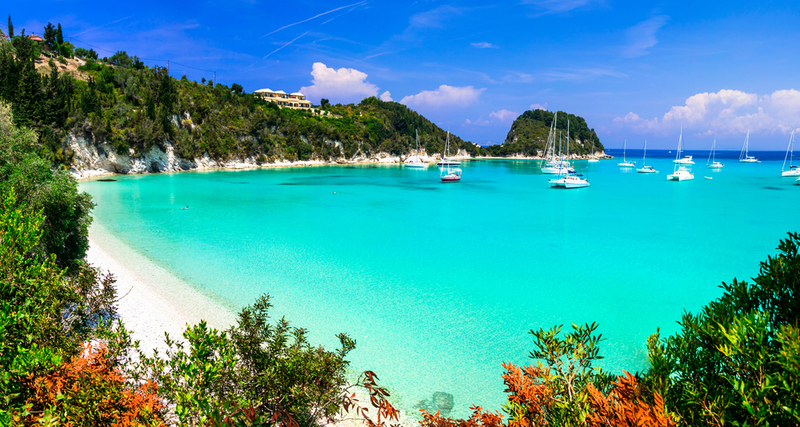 Paxos is stunning. Thank you. 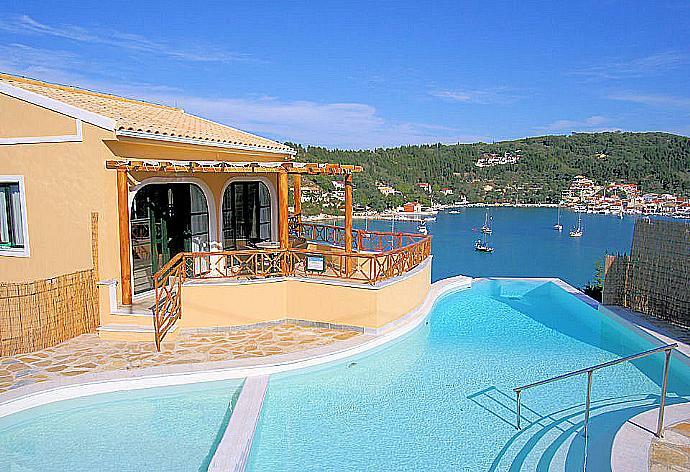 Lovely villa, great service from Agni Travel and Eos Travel great holiday...just not long enough! The overall standard of the property was excellent. The pool was outstanding in terms of cleanliness and setting. The provision of 2 tables meant that we could always find shade or sunshine when required. Thank you for the provision of information in the villa. We were impressed with the local shops and restaurants but spent a lot of time just sitting in the evenings and admiring the view. 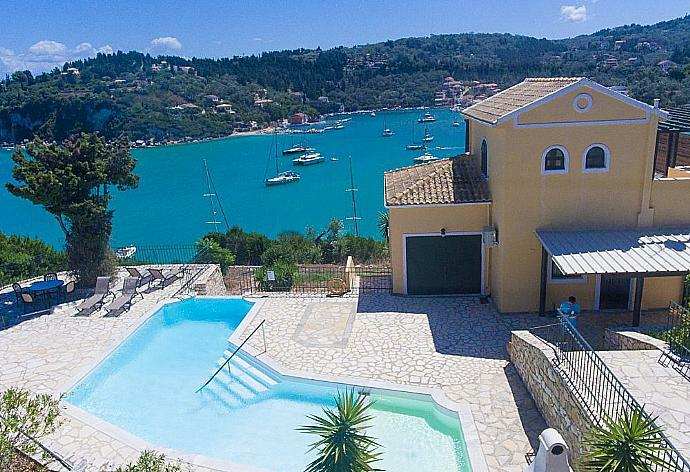 The team in Paxos were efficient and helpful.Thanks again Agni Travel. Loved the views & Lakka itself. We will be back. We had a superb stay at Thanasis and would have no problem recommending this property to others. Fantastic holiday. Quiet area with great restaurants. It was an absolutely magic view day and night. Pure theater on the water below. The sandy, swimming beach and the tavern are excellent. We loved our little Lakka village and ate well there. Shopping for food and wine was great for when we ate at home.The little Local Bus was a terrific way to get around and see the island. Plenty of boats for hire to discover the delights of Paxos also.The week passed all too quickly. We really did enjoy our holiday at Thanasis. Its a huge property for two people and the pool is fabulous. Great view nice and quiet. The maid didnt speak English but it wasnt a problem. A lovely holiday which was well organised by Agni. Thank you. The villa was fabulous as was Lakka. We had to return early to UK because of unforeseen circumstances and the support we got for the local Agni office was second to none. We would love to go back. Absolutely fabulous. We had a thoroughly lovely time. Agni Travel have been superb. I have never experience travel service like it. Everything was in place - all taxi and transfers and we were regularly contacted by text to see if we needed anything. Fantastic service. Thanasis was booked 4 days ago!